When I grew up, I recall having a Barbie Doll. I remember thinking how perfect she was. Her features were delicate, her hair just perfectly styled, her body just the right shape and proportioned, her clothing looked like it was especially made for her, her makeup impeccable. And I remember brushing her hair and no matter how many times I did, it always looked perfectly styled. I had this illusion that when I grew up, I was going to look exactly like Barbie. Well! I grew up and didn't look like Barbie at all. She was too perfect, while I was imperfectly perfect. I didn't identify with Barbie. I often wondered if any other little girls feel the same way? Probably.. 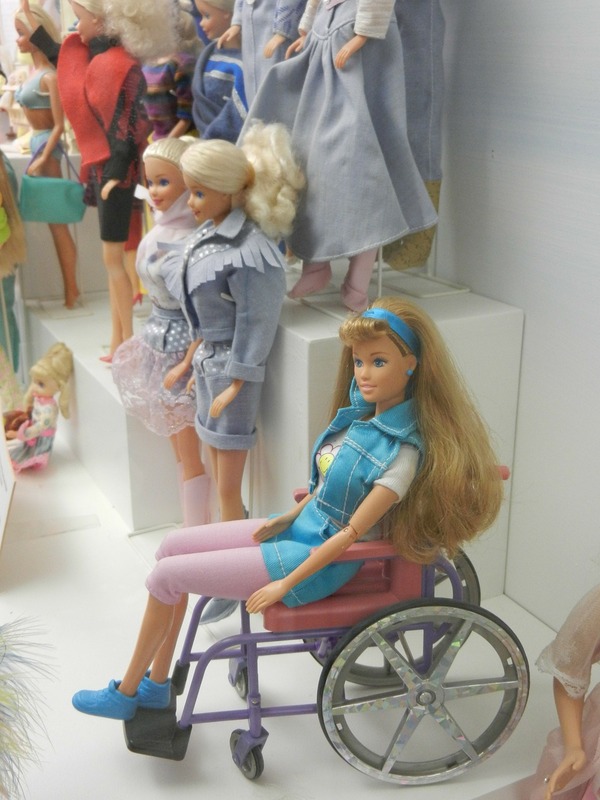 I recently saw this article about how Barbie now has evolved into a beautiful Barbie with all the imperfections. Oh! How I wish I could go back in time and have those Barbies today. No, I didn't wear a prosthesis and I didn't use a wheelchair, but I do have an invisible disability. Just the fact she wasn't all perfect would have appealed to me. Those in a wheelchair or wearing a prosthesis would have been able to actually identify. Or someone having a family member with some type of disability or friends or even someone in the neighborhood. I hope Barbie continues to evolve. Perhaps a Barbie or a Ken doll with a service dog, a cane, crutches or walker. There are other types of disabilities that could be included. (Think about the Special Olympics.) The list is endless. 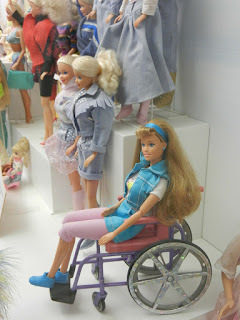 Here is the article about the new Barbie with disabilities. Sign up with your email to be notified about new posts. Virtual Ability, Inc. from time to time discusses or provides links for different products or services. Products and services that are mentioned are for educational and informational purposes only, never provided or represented in any way as therapeutic recommendations, prescriptions, medical treatments, advice, or diagnosis. Always consult your own medical care provider. Virtual Ability, Inc. does not endorse or recommend commercial or noncommercial products, services, processes or manufacturers. Virtual Ability, Inc. assumes no liability whatsoever for the use or contents of any product or service mentioned. Virtual Ability, Inc. is not responsible for the contents of any “off-site” Internet information referenced by or linked to the Virtual Ability, Inc. internet site. Opinions and comments expressed in blog articles are those of the authors, and do not represent the Virtual Ability, Inc. corporation. Want to join Second Life? If you don't already have a Second Life account, it's free and easy to join! Simply click here, and follow the steps! How do you relate to your avatar? Are you constantly checking your smartphone? TIP - What are you saving for? Trademarks property of their respective owners. Comments owned by the poster. Simple theme. Powered by Blogger.